Tooth extraction is the removal of a tooth from its socket in the jaw bone. We will make every effort to save your tooth, but sometimes there is too much damage or other circumstances and removal is the best option. Simple extractions can be done on visible teeth that are easy to reach. This usually requires only local anesthetic. For teeth that are not easily accessible we can also perform a surgical extraction. 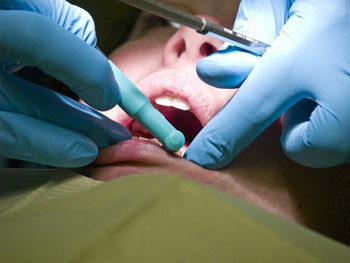 Surgical extractions are often performed under IV sedation.